FBN’s Blake Burman on Donald Trump announcing his decision to run for president. 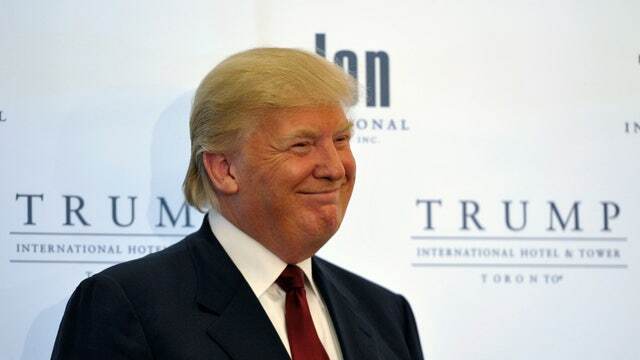 With “Keep on Rockin In The Free World” by Neil Young playing during his stage entrance, billionaire entrepreneur Donald Trump announced on Tuesday that he is seeking the Republican nomination for the 2016 presidential election. “Our country has tremendous potential …We have people that have no incentive to work … because the greatest social program is a job… I will be the greatest jobs president that God ever created I tell you that,” said Trump. Trump said that he would bring back jobs and “our money” from places like China, Mexico and Japan. “Right now, think of this, we owe China $1.3 trillion. We owe Japan more than that. So they come in, they take our jobs, they take our money and then they loan us back the money and we pay them in interest. And then the dollar goes up, so their deal is even better. How stupid are our leaders? How stupid are these politicians to allow this to happen? How stupid are they?” said Trump. According to Trump, his net worth is $8.7 billion and his business mindset would benefit the economy. He also talked about how, if elected, he would repeal and replace ObamaCare. “ObamaCare kicks in in 2016. Really big league. It is going to be amazingly destructive. Doctors are quitting … we have to repeal ObamaCare and it can be replaced by something much better for everybody. Let it be for everybody, but much better and much less expensive for people and for the government and we can do it,” he said. In a FOX Business Network Exclusive, Donald&apos;s son Eric Trump, of the Trump Organization, will be a guest on Mornings With Maria at 8AM ET.